"Make a bold statement with this extreme-wear, waterproof eyeliner. 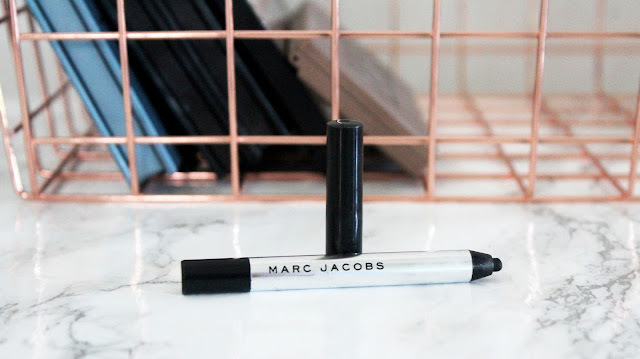 Like a gel pot eyeliner encased within a crayon, this breakthrough formula is exclusive to Marc Jacobs beauty: a super-malleable gel eyeliner glides on smoothly for a flawless, precise application, then sets in place for all-day wear. A built-in sharpener helps mold product into a perfect point for an instantly sharp look." "What it is: A gel pot eyeliner in a crayon that delivers intense color and 12-hour waterproof wear and amazing glide in shimmer and matte finishes. 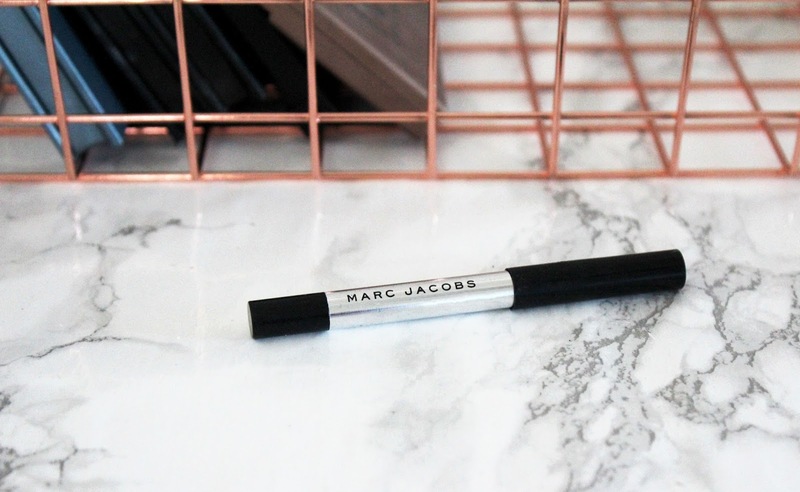 What it does: Experience the luxury of gel eyeliner with the ease of a pencil. Make a bold statement with this extreme-wear, waterproof eyeliner that glides on effortlessly to deliver instant color payoff. Exclusive to Marc Jacobs Beauty, the super-malleable formula offers the versatility of application. Apply Highliner for flawless, precise lines, or smudge immediately after lining for an instant smokey eye. What else you need to know: Highliner contains a built-in sharpener at its base: To use, pop out the black sharpener and twist the tip of Highliner to sharpen. You can also sharpen Highliner against a tissue to form a precise point. Always close the cap tightly to keep Highliner's supple glide and long wear." Here is my experience with the Marc Jacobs Highliner. 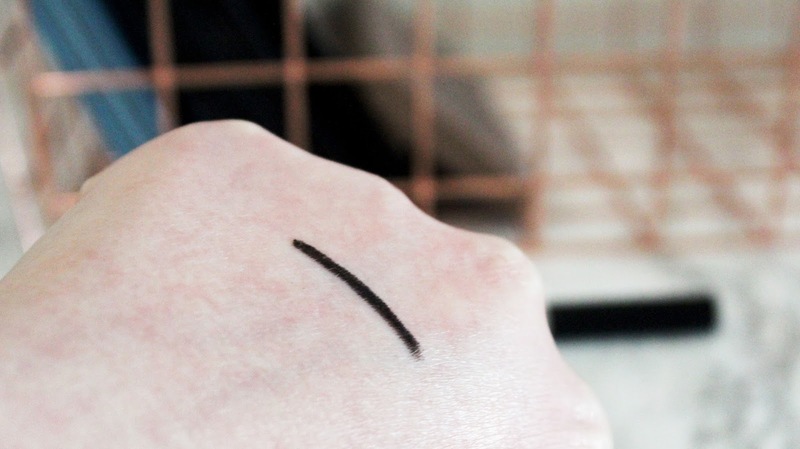 I got this liner in the Sephora b-day gift last year and fell in love with it. It is so smooth and glides on. It really is a gel liner. It goes on almost like liquid and stays put. I love the color! It is such a great deep black liner. Unlike some liners, there are no brown undertones. It is pure black. It isn't patchy and wears all day. I've worn it a lot and it looks great all day. When I swatched it stayed on pretty well, even with soap I had a small black line on my hand for most of the day. It is pretty easy to control and I love that it is a twist up. I have a mini so I haven't got to test the sharpener but I love the idea! I still have pretty nice precision with it after using it a lot but it would be even better if it always had a pointed tip. It dries pretty quick so it won't smudge on you so if you want to smudge it out do it as soon as you apply it. If it dries it isn't going anywhere. Was it worth the hype? I didn't hear too much about this pencil before I got it but it is really great and I will be hyping it up! Was it worth the price? The full-size pencil is a really great size. (As I've said mine is a mini). It is a really great quality pencil and it has a sharpener built in. I think it's worth the $25. I love this liner! It is the only liner I've been using for about 3 months! It has a great color, applies smoothly, and looks great all day. 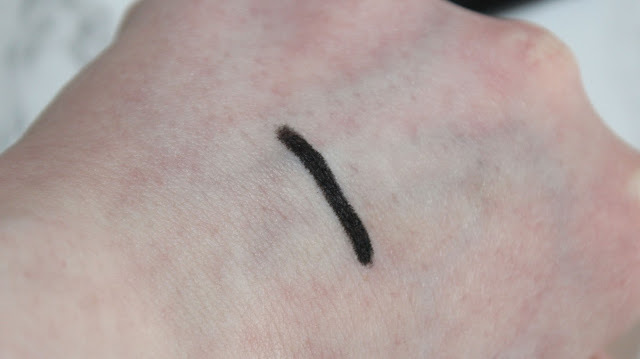 It gives an almost liquid liner effect and wears all day. That's it for this review. Thanks so much for giving it a read! I hope you enjoyed! Have you tried the Marc Jacobs Highliner? What did you think? Let me know your thoughts in the comments below!